What does the SGF do? From high above the Earth, satellites map the land, oceans, ice sheets and gravity field. There are a host of different Earth observation satellites that collect data as they orbit the spinning Earth. The Earth is a dynamic system and satellites offer an opportunity to take a full, global perspective of the inter-connected processes at work. 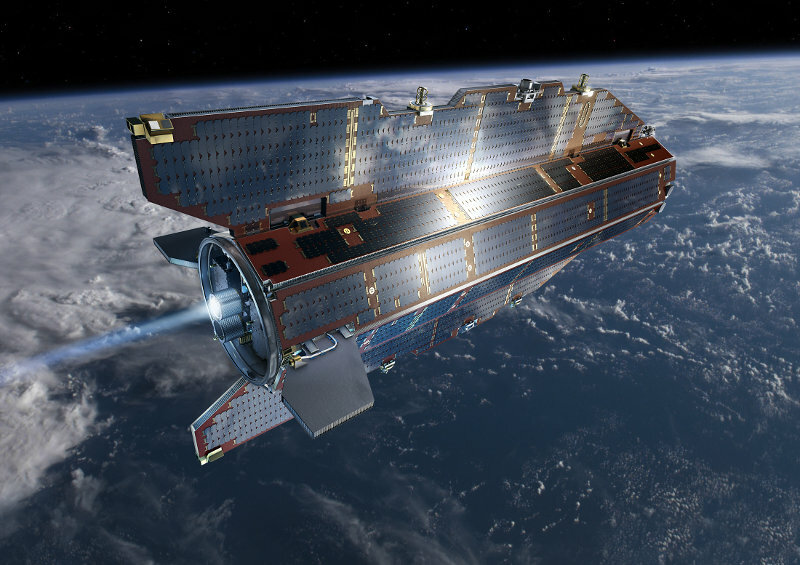 GOCE (Gravity field and steady-state Ocean Circulation Explorer) uses new technology in space to map the Earth's gravity field in unprecedented detail. It carries 3 pairs of 3-axis, servo-controlled, capacitive accelerometers which will provide useful information on sea-level change, Earth-interior processes and ocean circulation, which plays a crucial role in energy exchanges around the globe. It determines gravity-field anomalies to an accuracy of 1 mGal with a spatial resolution better than 100 km. The satellite is an ESA mission and was launched on 17th March 2009. It consists of a single rigid octagonal spacecraft, approximately 5 m long and 1 m in diameter with fixed solar wings and no moving parts. 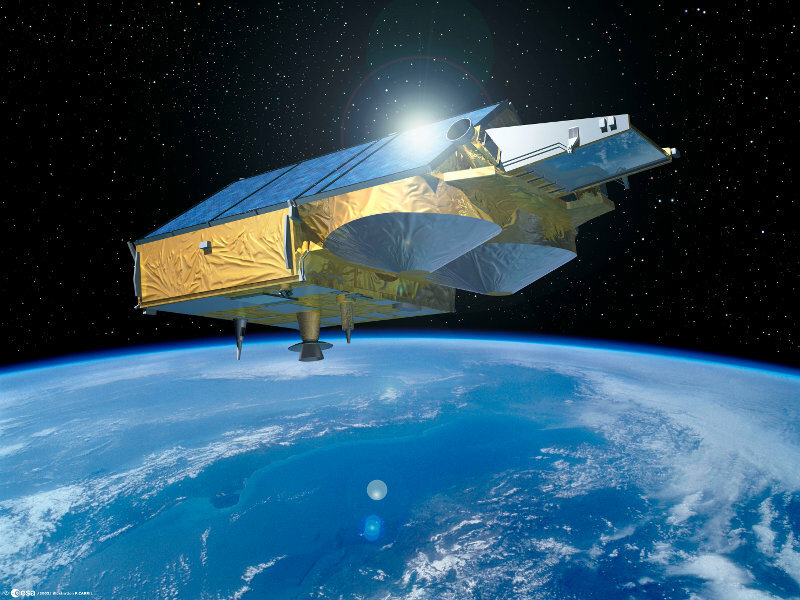 CryoSat-2 was launched in April 2010 and acquires accurate measurements of the thickness of floating sea ice and surveys the surface of ice sheets. The mission will monitor small changes to observe how the polar ice regions respond to climate change. This ice plays an important role regulating climate and sea level and so the consequences of change are far reaching. 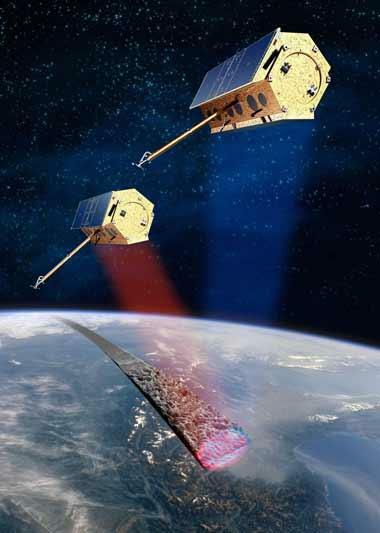 CryoSat-2's radar altimeter is enhanced to improve measurements of icy surfaces and will achieve improved spatial resolution of 250 m in the along-track direction using the Synthetic Aperture technique. 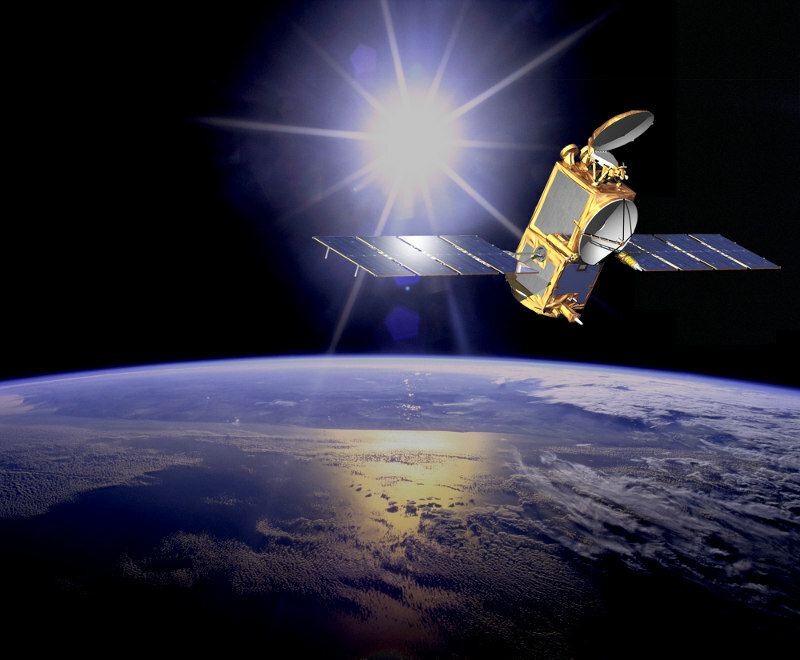 CryoSat-2 is orbiting Earth at an unusually high inclination, reaching latitudes of 88° north and south. The GRACE (Gravity Recovery And Climate Experiment) mission is comprised of a pair of satellites orbiting the Earth at an altitude of approximately 485km. The spacecraft fly about 220 kilometres apart in a polar orbit and are linked by a microwave ranging system. 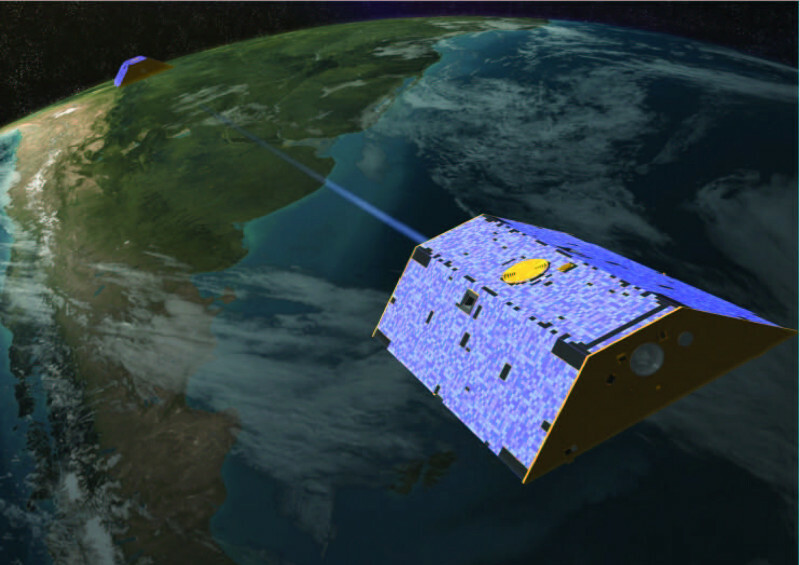 GRACE maps the Earth's gravity field with unprecedented accuracy by measuring the distance between the two satellites. The GRACE mission resulted in a vastly improved model of Earth's gravitational field, including much improved resolution of the finer-scale features. The mission provides information on changes due to surface and deep currents in the ocean, runoff and ground water storage on land masses, exchanges between polar ice and the oceans and variations of mass within the Earth. Jason-2 is continuing the oceanography work begun by the TOPEX/Poseidon and Jason-1 missions. On-board is the next generation of Poseidon altimeter which is used to monitor global ocean circulation, provide information on the tie between the oceans and atmosphere and improve global climate predictions. It also and monitors events such as El Nino and ocean eddies. Jason-2 carries a detector package called Time Transfer by Laser Link (T2L2) which will allow the precise characterization of the USO (ultra-stable oscillator) used by the DORIS positioning system and time transfer comparisons of SLR station clocks. TerraSAR-X carries a X-band radar sensor with different modes of operation to record images with different swath widths, resolutions and polarisations. The satellite is in a near-polar orbit around the Earth, at an altitude of 514 kilometres and it is producing a high-quality radar images of the Earth’s surface. It is able to produce images with resolutions of down to one metre. TerraSAR-X entered orbit in 2007 and in 2010 was joined by its twin satellite TanDEM-X. The mission is now to generate accurate three-dimensional digital elevation images of the Earth.